A recent Bell Laboratories study indicates that blackouts account for less than 5% of power disturbances. The other 95% consist of surges, noise, sags and brownouts. Equipment connected to utility power experiences an average of 128 such events each month. These events can disrupt proper operation of sensitive computer based equipment, decreasing productivity and creates unnecessary production, service and data recovery costs. A True On-line UPS is the only design that can provide the maximum protection against major power problems. This is accomplished through converting the incoming AC utility voltage to a DC voltage. From this DC voltage, an AC voltage is then completely regenerated by the UPS, providing a clean, well-regulated source to your equipment, thereby eliminating power related problems. This solidstate generator sets the True Regenerative On-Line UPS apart from all other Line-interactive and Off-line designs, which leave your sensitive equipment connected directly to the dirty utility power 99+% of the time. If your equipment is operating in a “Mission Critical” application, then you need a True On-line UPS and the PersonalSource is the best choice in True On-line UPS technology. 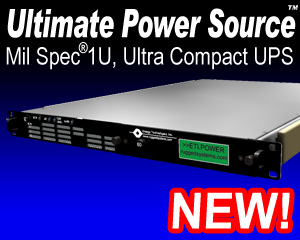 All PersonalSource Series models include state of the art Input Power Factor Correction. This greatly reduces the amount of current demanded from your building wiring system, yielding an efficient, “building friendly” UPS. 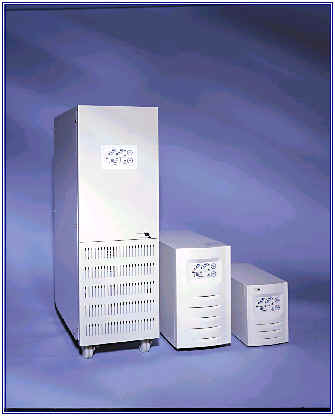 The PersonalSource UPS incorporates advanced microprocessor technology. This technology makes possible a high level of internal UPS control as well as system information, data logging, self-diagnostics, SNMP and enhanced computer communication through any RS-232 port. An optional SNMP/HTTP Agent board is available for direct installation into all PersonalSource models. The SNMP/HTTP Agent provides for direct connection of the UPS to any 10Base2 or 10BaseT Ethernet LAN. Overall, the PersonalSource Series is uniquely qualified for critical systems combining advanced modular design features with highly reliable construction.